Tuesday 27th September, 2016 from 4 to 5 pm in the library training room. Click the image below for further details. 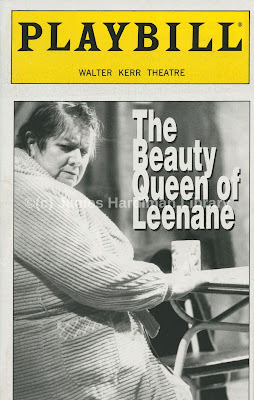 The Beauty Queen of Leenane by Martin McDonagh was a point of departure for many reasons. 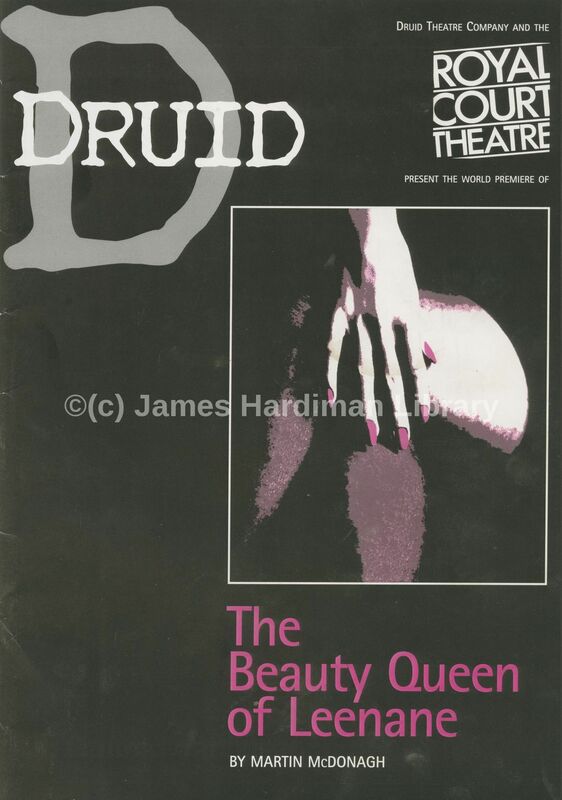 When it opened to a world premiere production by Galway's Druid Theatre Company, in a co-production with London's Royal Court Theatre, on the first of February 1996, it also marked the opening of a new theatre building – Galway's Town Hall Theatre. The play would also be a whirlwind success for Druid and open up one of the most important and celebrated relationship's in contemporary Irish drama – that of director Garry Hynes and the plays of Martin McDonagh. it also, of course, exposed audiences both in Ireland and around the world, to a very different 'Irish' play. 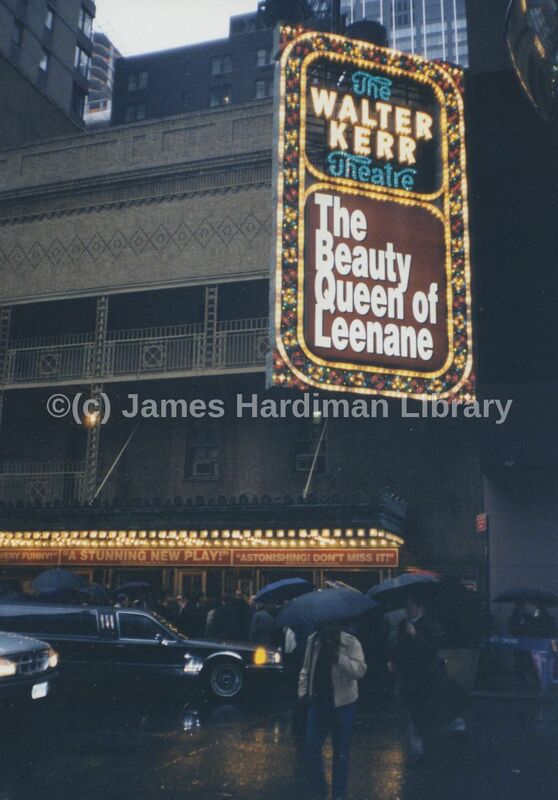 Within two years of the play's opening in Galway, Beauty Queen would make history and secure four Tony awards, including Best Director for Garry Hynes, the first female director to win the award. The play would tour extensively in Ireland, the U.K. and wider internationally, from Broadway to Sydney, over successive years, tours, cast changes and revivals between 1996 and 2000. A constant being that the message of the play remained the same – that Ireland and indeed Irish drama (and their numerous definitions) were being redefined through Beauty Queen and through the subsequent Leenane Trilogy which would premiere again in Galway in 1997. "That unbounded Ireland is the one which Martin McDonagh belongs to, and the one in which Druid has always been willing to play itself. It is a nation that cannot be taken as read but must continually be written up, and acted out"
This year, 2016, Beauty Queen turns twenty years of age. It is currently undergoing a major revival, opening, as it first did back in 1996, at Galway's Town Hall Theatre, before embarking on a major Irish and international tour. Marie Mullen, co-founder of Druid Theatre Company, returns to the play and takes up the role of Mag, first portrayed by the late Anna Manahan. The archive of Druid Theatre Company, held at the Hardiman Library, NUI Galway, offers a fascinating insight into the play and its production and reception. Among a wide range of records include programmes, press files, flyers and posters from all productions in Ireland, the U.K., America and Australia. there are also files of photographs of productions and rehearsals; the prompt-script from the 1996 production as well as a first-edition published edition of the script and also a later edition which is signed by all cast members. Technical details such as design plans, sound and lighting plans, reveal how the play was a complex and challenging work to stage, as it presented and constructed a rain-sodden and wild west of Ireland setting. (Mag: "Wet Maureen?" Maureen: "Of course wet".) 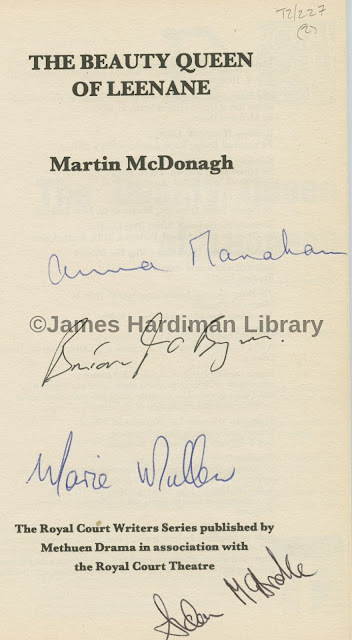 The archive of this play and of Druid itself is a unique resource to understand anew this play as we revisit McDonagh's Leenane, twenty years after we first did so. 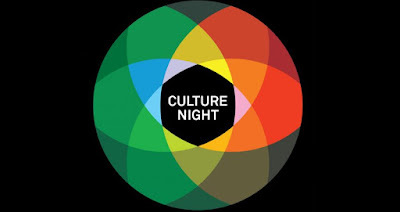 Culture Night 2016 at NUI Galway Archives! 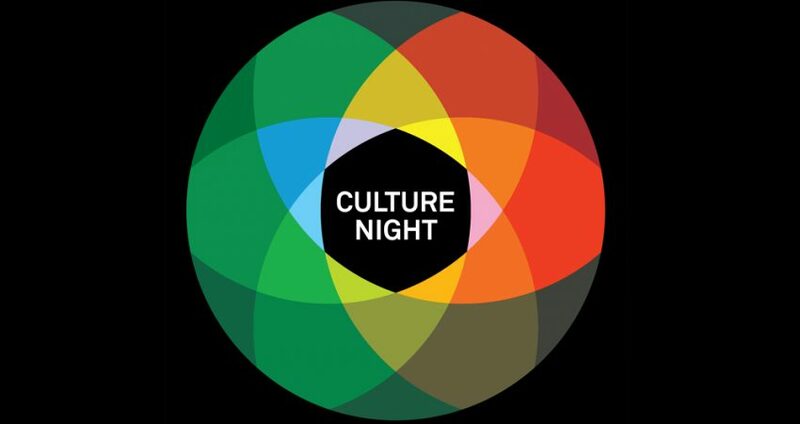 This Friday, 16th September, sees another packed Culture Night across the country and across Galway city and county. 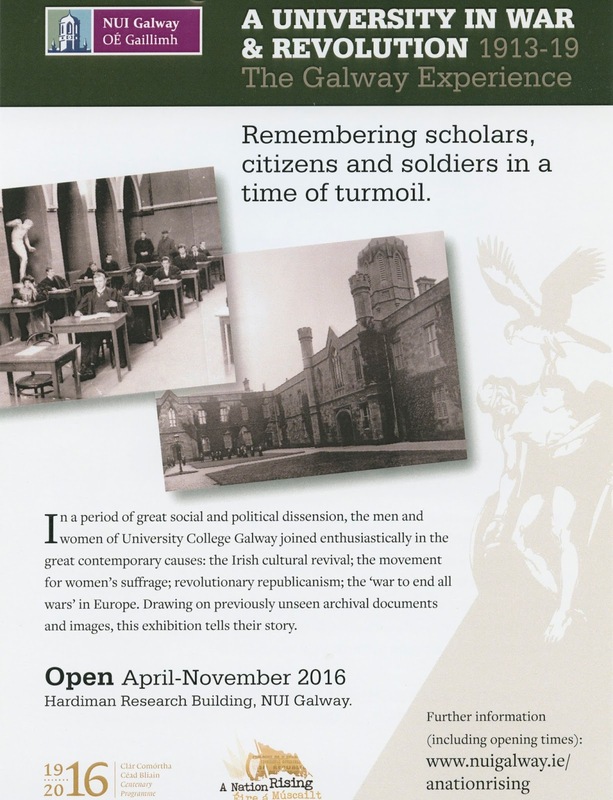 The Archives of the Hardiman Library and NUI Galway bring you two events to keep you topped up with culture on this busy evening. First is a lunchtime event of music, song, spoken word and archives. Celebrating the heritage and culture of the West of Ireland, this event promises to be a special lunchtime gathering of a range of artists .The Galway Music Residency and NUI Galway invite you to join the Galway ConTempo Quartet in the President’s Drawing Room, NUI Galway, where you can view the historic art collection on display; a rare work by Lady Gregory’s son Robert, a portrait of actress Siobhan McKenna and more, with talks, readings and rare archival film, photographs and props from McKenna’s acting legacy and from the archives of Galway's celebrated company, Druid Theatre. We are currently updating essential software; the update process is affecting e-book access. 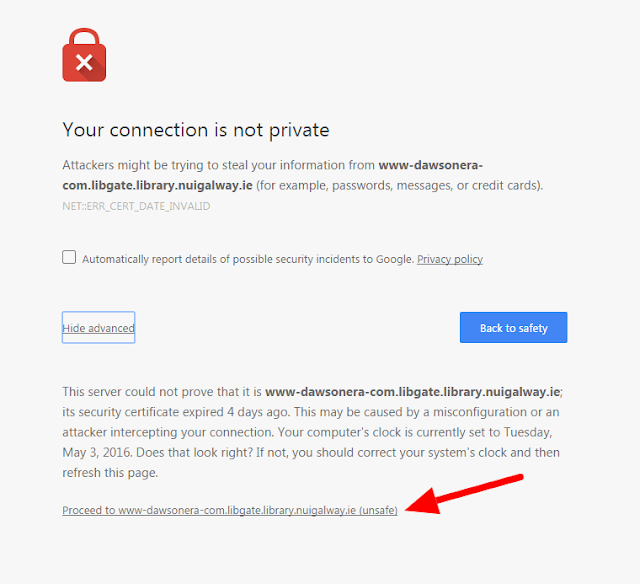 Instead of accessing content on the DawsonEra e-books site directly, we are getting warning screens about access not being secure. However you can still (securely!) access the e-book content you need. When the warning screen pops up, click on the 'Advanced' link at the bottom of the page. this brings up the link in the screenshot below, and you can click it to navigate through to the content. We're working on the upgrade as a priority, and don't worry, all access to e-book content is safe and secure.